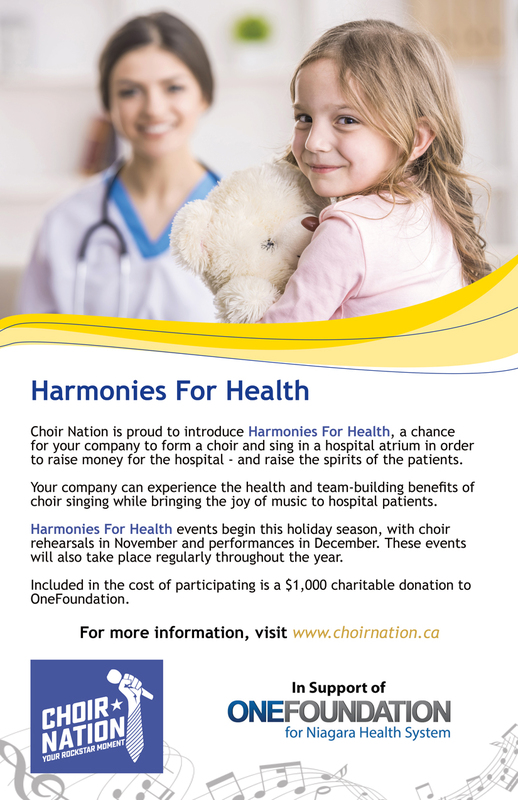 Harmonies For Health is Choir Nation’s newest offering: a chance to sing in the beautiful acoustics of a hospital atrium or conservatory in order to raise money for the hospital – and raise the spirits of the patients! 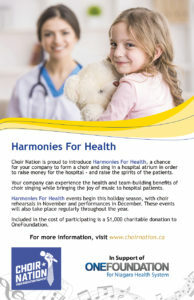 Choir Nation will provide a Musical Director to rehearse for the 4 weeks leading to the concert. The rehearsals are 90 minutes each and take place at your office. For the concert, your choir and two other company choirs will sing a total of nine songs for the patients and visitors to the hospital. 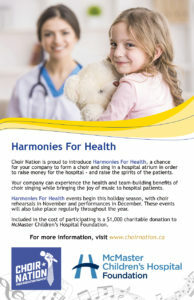 We are also happy to accommodate companies that wish to form more than one choir per concert. The fee for each participating company is $3,000, with $1,000 of that total going to the hospital’s foundation as a charitable donation. 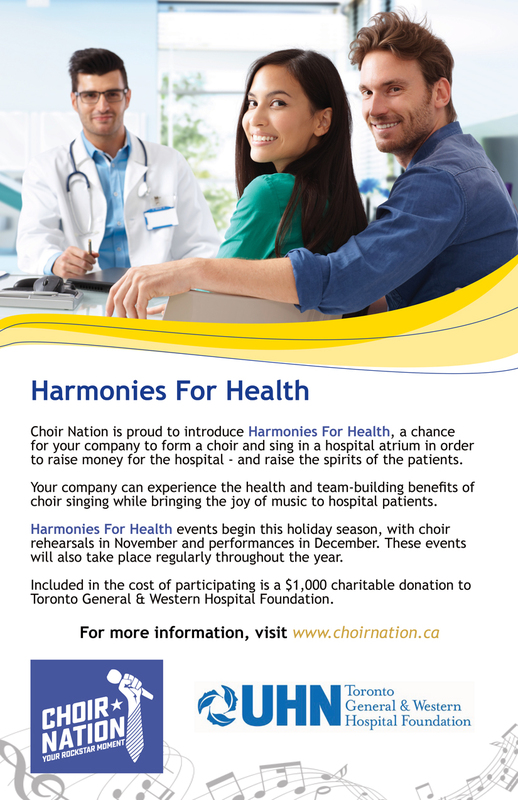 Harmonies For Health events will begin this holiday season with rehearsals beginning in November and performances taking place in December. Our partner hospitals have expressed interest in holding these events throughout the year based on availability of the conservatory and atrium space. 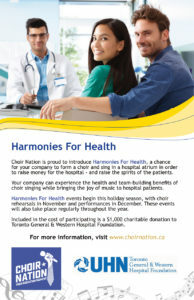 Participating hospital foundations currently include McMaster Children’s Hospital Foundation, Niagara Health Foundation, the North York General Foundation and Toronto General & Western Hospital Foundation.